After working for Australian State and Federal governments in environmental protection and social policy, Anne Plummer changed direction to qualify as a teacher with the Association Montessori Internationale. She has worked extensively with children in primary classrooms and individually. Her research interests include Montessori grammatics, children’s literature, and the ontogenesis of literary reading. This book is about playful texts – picturebooks and novels which play on words and/or images in the same way that children play in games of make-believe, transforming the everyday world of common sense meaning into a self-reflexive playworld which works to disclose, and subvert, the rules which sustain it. Taking their cues from the metacommunicative dimension of make-believe play, the texts employ transparent strategies which serve simultaneously to draw attention to the making of textual meaning and to disclose the processes by which those meanings are made. Playful texts specialise in multiple storylines, unreliable narrators, language play and visual games, parodies and nonsensical lists. We can therefore say that playful texts are essentially metafictive texts: texts which encourage young readers to reflect on the meaning-making procedures of narrative fiction. 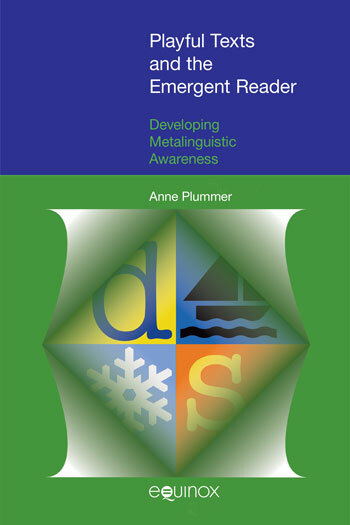 This process, it is argued, enhances cognitive development in a number of vital areas, especially in the area of metalinguistic awareness – the ability to identify and talk about the properties of language that is so critically important in the development of language and literacy skills. This book is about playful texts – picturebooks and novels which play on words and/or images in the same way that children play in games of make-believe, transforming the everyday world of common sense meaning into a self-reflexive playworld which works to disclose, and subvert, the rules which sustain it. Taking their cues from the metacommunicative dimension of make-believe play, the texts employ transparent strategies which serve simultaneously to draw attention to the making of textual meaning and to disclose the processes by which those meanings are made. Playful texts specialise in multiple storylines, unreliable narrators, language play and visual games, parodies and nonsensical lists. We can therefore say that playful texts are essentially metafictive texts: texts which encourage young readers to reflect on the meaning-making procedures of narrative fiction. This process, it is argued, enhances cognitive development in a number of vital areas, especially in the area of metalinguistic awareness – the ability to identify and talk about the properties of language that is so critically important in the development of language and literacy skills. Makes the case for playful texts, arguing that they are uniquely placed to support metalinguistic awareness and enhance skills such as perspective taking and hypothetical thinking. Defines ‘playful’ in terms of make-believe role play. Addresses the subject of metafiction and introduces the strategies which characterise textual playfulness. Traces the origins of pretend play as an intersubjective phenomenon and examines its metacommunicative and paradoxical nature. Highlights the links between playful, what-if thinking and mental reflexivity, the mind’s ability to think about its own mental processes. Places language play at the centre of parent-child interaction, and demonstrates that it is crucial for language learning. Shows how children’s phonological play makes way for more complex forms of play with structure and semantics. Examines the most radical form of linguistic play, literary nonsense, and focuses on its obsession with list-making and classification. Considers literary reading as a playful, interactive process, learned in collaboration with more experienced readers and pursued in dialogue with the text itself. Introduces the concepts of intertextuality and polyphony. 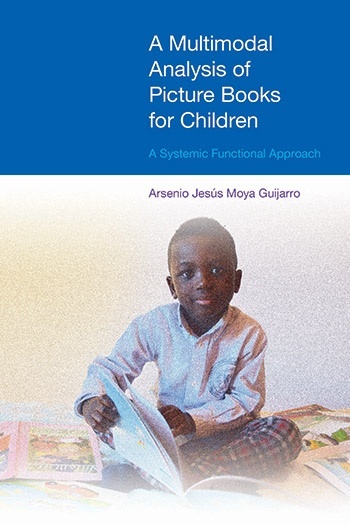 Notes that the first books children encounter are likely to be picturebooks: multimodal texts which require readers to negotiate two different sense-making systems: words and images. Examines a selection of playful texts in detail. Perspectives considered: narrative frame breaking (texts include David Wiesner’s The Three Pigs and Chris van Allsburg’s The Mysteries of Harris Burdick); embedded images and stories within stories (including Istvan Banyai’s Zoom); mirror imagery and the mise-en-abyme (Russell Hoban’s The Mouse and His Child); alphabet books, word games and play with figurative language (including I Will Not Ever Never Eat a Tomato); verbal and visual nonsense (Bamboozled, The Lost Thing); and polyphony (from The Jolly Pocket Postman to The Amazing Maurice and His Educated Rodents). Offers techniques which can be used to build inference-making skills and support critical thinking. 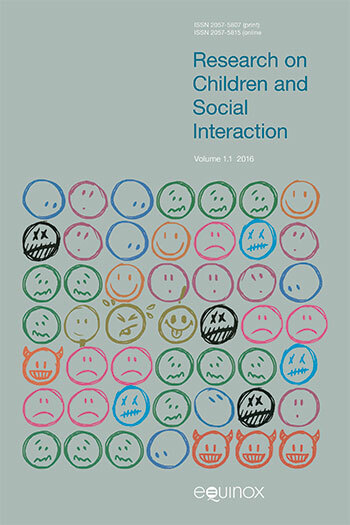 The chapter also includes case studies, spanning several decades, of children interacting with playful texts. The studies show children building visual literacy and metalinguistic awareness, negotiating complex sense-making procedures, and revelling in narrative play. This book succeeds by offering its readers an interesting account of why play and playful texts matter. In a world where schooled literacies are narrowing and where test stakes continue to rise, it is heartening to find an author who takes playfulness so seriously.